Banking can be defined as the business activity of accepting and safeguarding money owned by other individuals and entities, and then lending out this money to earn a profit. 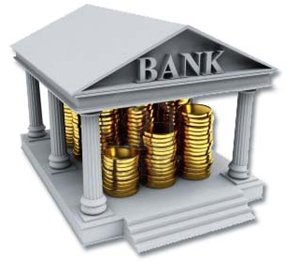 A bank account is a financial account maintained by a financial institution for a customer. A bank account can be a deposit account, a credit card account, a current account, or any other type of account offered by a financial institution, and represents the funds that a customer has entrusted to the financial institution and from which the customer can make withdrawals. Alternatively, accounts may be loan accounts in which case the customer owes money to the financial institution. The financial transactions which have occurred within a given period on a bank account are reported to the customer on a bank statement and the balance of the accounts at any point in time is the financial position of the customer with the institution.